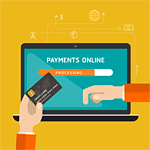 There is no doubt that payment gateways are important for any classifieds business. Your users need to be able to buy services on your site in an easy and hassle-free manner. However, many businesses may lose a significant share of the market if they fail to consider the local factor. This is particularly essential for classifieds businesses targeting countries outside of North America. Many users prefer the local approach and are more comfortable knowing that their payments are processed by a local bank. Similarly, webmasters may have immediate and unrestricted access to their funds when all of the payments go to their home country’s bank account. We also believe that a local approach is sometimes better than global by helping to overcome global payment providers’ limitations, one of which is the requirement of having a US bank account. In this short post, we would like to talk about the geography of the payment providers integrated into Flynax script and see how they help webmasters around the world run their classifieds businesses more effectively. Residents of US, Canada, Australia and Great Britain have a multitude of ways to manage payments on their sites. They include PayPal, which integrated by default in the software, and PayPal Pro, ccBill, Authorize.Net, Stripe and a number of others. Although these are global payment providers, which can be used around the world, webmasters who have bank accounts in one of the above-mentioned countries will benefit mostly from using them. If your classifieds business targets North America, Australia or Great Britain, your users will have no difficulty using the above mentioned payment gateways for buying services on your site. Webmasters in Latin American countries are well aware of PagSeguro Payment Gateway, which is immensely popular in Brazil and many other Latin American countries. PagSeguro is a Brazilian payment provider with a database of over 12 million registered users. Having strong connections with Brazil’s largest banks, PagSeguro allows sellers and buyers to interact smoothly in a fraud-free environment. Most importantly, both buyers and sellers can make and receive payments from their local banks. To offer webmasters more ways to access their money, PagSeguro released a prepaid card under a MasterCard brand that webmasters can use to withdraw money from the nearest ATM. If you are a webmaster wishing to start a classifieds site in Brazil or in any of the Latin American countries, you can do so with the Flynax script and local PagSeguro Payment gateway. Let us travel across the Atlantic to the European continent, which presents a huge market for classifieds business. If you are a webmaster from Europe, you may offer your users Mollie –probably the most popular payment provider in Western Europe, particularly in Netherlands and Belgium. The biggest advantage of Mollie is that it supports SEPA – a Single Euro Payment Area Initiative allowing buyers in 28 European countries to use online banking for making payments. Another payment provider that works best in Europe is PAYTPV. Located in Spain, it targets the entire European market by offering a range of debit/credit card payment solutions, and comes especially handy for webmasters with accounts in European Banks. Being the world’s second largest and second most populous continent, Africa offers good market opportunities for classifieds sites. Webmasters in Africa may offer their users PesaPal, a payment gateway that works with many African banks, mobile operators and various credit card companies. To give your users even more payment ways, we have integrated PayFast, which is the most popular payment gateway in South Africa allowing webmasters to receive payments in a variety of ways. PayFast is connected to South Africa’s four largest banks meaning that your earnings will be easily accessible. Both PesaPal and PayFast work with Africa’s largest mobile operators meaning that your users may pay for services on your site with their mobile phones even if they don’t have bank accounts. If you wish to start a classifieds site in India or South Asia, you have probably heard of CCAvenue, which is South Asia’s largest payment provider operating in India. It offers a wide range of online payment options by partnering with Indian, Chinese and Singapore banks. Aside from credit card payments, CCAvanue offers a wide range of mobile payment solutions allowing your users to pay directly from their phones. Having CCAvenue for a website operating in India or East Asia means that your users will enjoy localized buying experience by paying in the currency they know best. As you can see, we attempt to cover as many countries as possible so that you can offer your users a local paying experience. With all that, we still have a long way to go and add even more countries on our list. We keep listening to our users’ preferences and do our best to integrate diverse payment providers representing different parts of the globe. Is there no payment line for turkey? Unfortunately, we don’t offer any local payment gateways for Turkey but we’ll add one or two in the future. Or we can integrate yours with a good discount. Not worldwide!, you don’t cover payments in Arabic Area Sorry ! When we say worldwide we mean that we offer payment gateways that operate in many countries like PayPal or 2CO while local gateways operate in a particular country or in a few countries. You may suggest a gateway for the Arabic countries and we’ll think about its integration. You guys should implement Paysera.com as a plugin. It supports multiple countrys with proper bank solutions and languages. We appreciate your suggestion. OK, we’ll think about its integration. Hello, how do… you about Fortumo,com sms payment gateway? OK, we’ll think about integration of Fortumo too. Great! I’m foreseeing that all of the continents and all major countries will be covered in the not so distant future and Flynax will one day become a trully Global solution any business classifieds, big or small. I personally don’t like PayPal and I think that giving more payment options to businesses is a sure way to more sales. Can you please email a link to our Sales Department and we’ll see what we can do for you? Is there any payment gateway for bKash - second largest mobile payment gateway in the world? No, we don’t have the plugin for this gateway, but we may consider its integration in the software. They have an api for that. I’ll reply to you in the ticket. And what about Hipay? It’s also a very popular gateway, and would be great for my country, as it is connected with Multibanco, the most popular payment system in Portugal.